Borders are becoming increasingly porous, with growing flows of goods, services, people and capital. Governments, more than ever, need to co-ordinate their efforts to develop global standards to address climate change, as well as crises related to finance, health, environment and migration; secure peace; and ensure sustainable economic prosperity and social inclusion. International organisations play a key role in fostering multilateral action and addressing the fragmentation that may undermine effective domestic action. 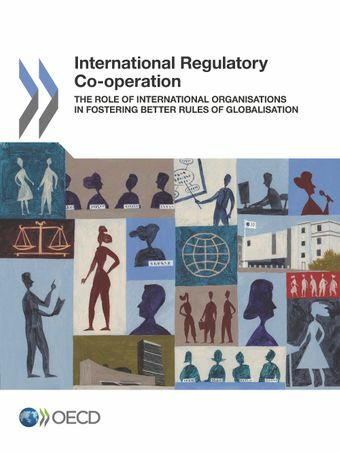 To shed greater light on international standard setting, this unique report collects, compares and assesses the practices of 50 international organisations on their governance arrangements, operational modalities, use of quality management disciplines and co-operation efforts. It analyses different types of organisations – inter-governmental, supra-national, trans-governmental and private – and identifies avenues for making their action more effective, inclusive and relevant. How do international organisations ensure the quality of their rule-making process? There is a wide diversity of international organisations involved in global standard-setting, including inter-governmental, trans-governmental and private. They all have specific mandates, expertise and strengths, and are organised in very diverse ways. Beyond these differences, IOs share strong common features. IOs are actively involved in the upstream activities of the rule-making process, i.e. exchange of information, data collection and development of norms, standards and best practices. By contrast, they are much less involved in the downstream activities of the rule-making process, i.e. enforcement, dispute settlement and crisis management. To achieve their goals, IOs develop a broad range of instruments from legally binding treaties and decisions to softer tools such as guidance, recommendations, declarations and standards. IOs primarily rely on non-legally binding tools, in particular policy instruments, guidance and standards. There is no single and widely accepted definition for instruments adopted by IOs. IOs have a key role to ensure confidence in the quality of international norms and in their capacity to help countries achieve their public policy objectives by strengthening their culture of excellence in the development of their instruments. For example, the report provides striking evidence that international organisations have become more transparent and open to a variety of stakeholders. IOs face the critical challenge to maintain the relevance and impact of their instruments over time. Strengthening the use of evaluation tools in cooperation with members and domestic authorities who have access to information would help to provide the evidence needed to identify their continued timeliness. Co-ordination efforts across IOs are real and have increased notably in the last few years. This is an area where better understanding of the regulatory landscape and early and more systematic exchange of information among IOs early on in the rule-making process could help them build on their respective field of excellence, while recognising the specificity of each IO and the value in some cases of various views on similar issues.